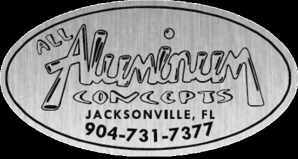 For all of your Aluminum needs! If you’re looking for the highest quality in custom fabricated T-tops, marine products and accessories, then you've come to the right place! We specialize in designing and building custom T-tops with any option you can think of. Our marine projects are built using anodized aluminum that is either polished or brushed finish. We take the extra time to make perfect welds and clean bends. We use nothing but the best pipe, rod holders, fiberglass & accessories. All of our custom work is built around the customers specific needs. We assure you of a QUALITY product that is done to your satisfaction EVERY TIME!! We also offer a full line of SPECIALTY PRODUCTS we can custom build for you!